Idia Irele is a Nigerian-American global education specialist with a deep commitment to human rights and civic education. 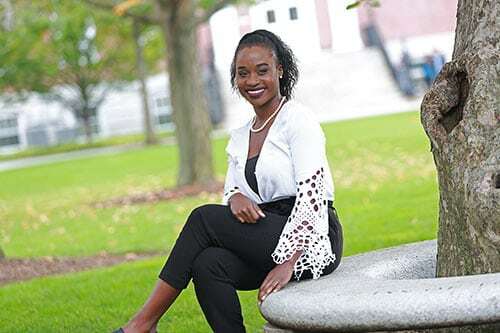 She received a Bachelor’s degree in Government and International Relations from Smith College and a Master’s degree in International Education Policy from Harvard University. She is also an alumna of the Fulbright Fellowship, the United States’ flagship international exchange program. Her professional experience is rooted heavily in education and youth empowerment, having collaborated with institutions such as UNICEF, The United Nations Association of Greater Boston, UNESCO, the OCP Policy Center, and the Harvard University Center for Latin American Studies. Idia has lived in six different countries, which she believes has sparked her love for travel and meaningful engagement with new cultures. Currently, she lives in Mexico City, Mexico, where she works as an education consultant. Idia is particularly excited about working with Envoys, where she continues to champion her mission of connecting young people around the globe and empowering them realize their full social, academic, and professional potential.